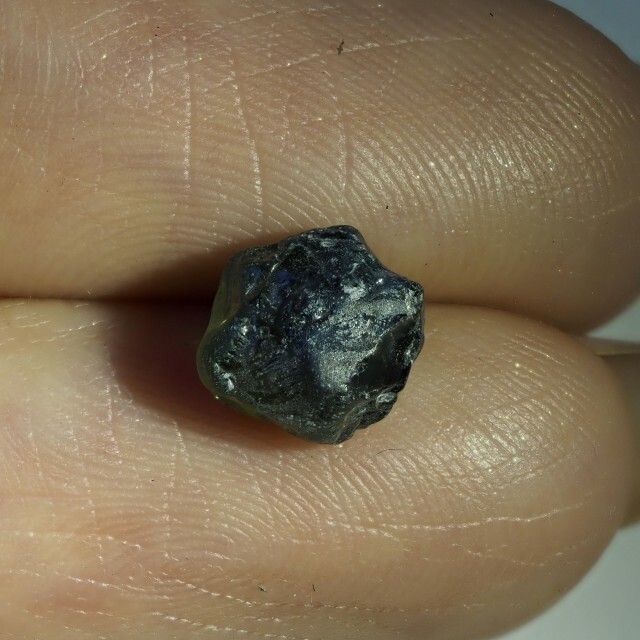 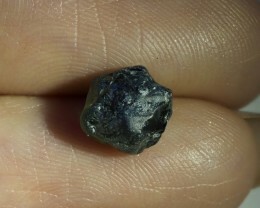 This is a natural unheated Sapphire rough from the gemfields in Qld Australia.It is free from main faults and will cut a good jewelery grade stone. 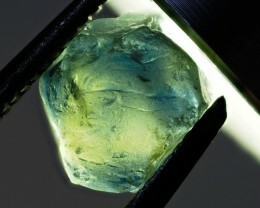 Note I have held the stone under a bright torch to make it easier to see . 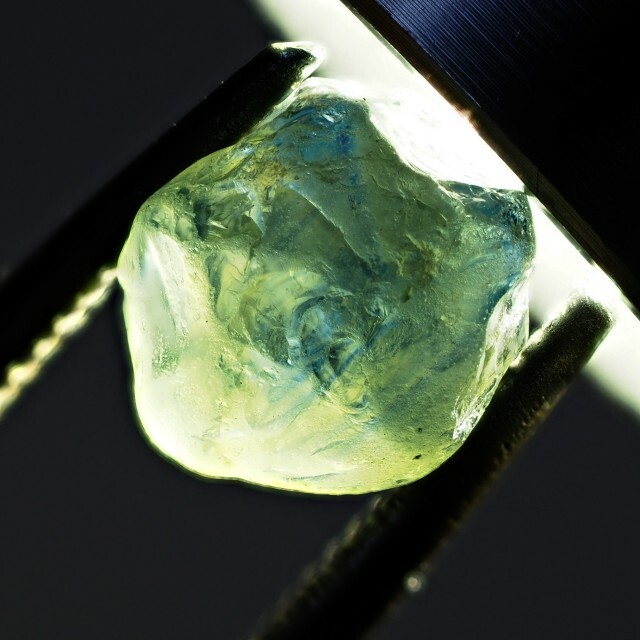 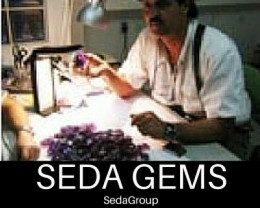 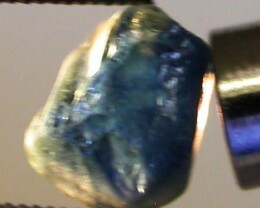 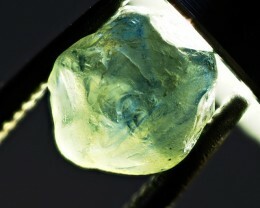 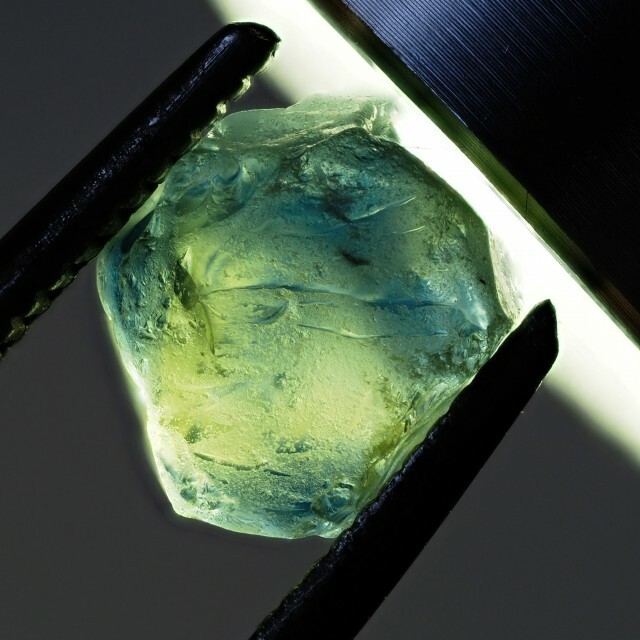 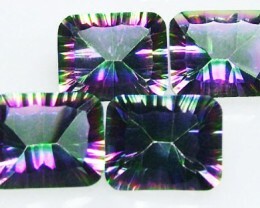 You can see the stones we have cut from similar rough here under Australian Sapphire stones. 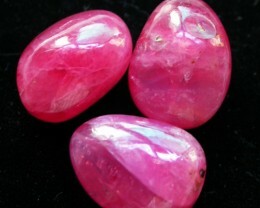 As with all our stock you may return it for a full refund provided it has not been cut or rubbed in any way-we suggest you inspect the stone with a loop before cutting. 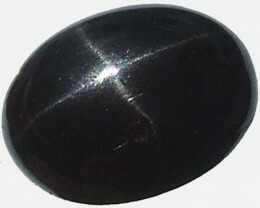 Sapphire is the term for Aluminum Oxide (corundum). 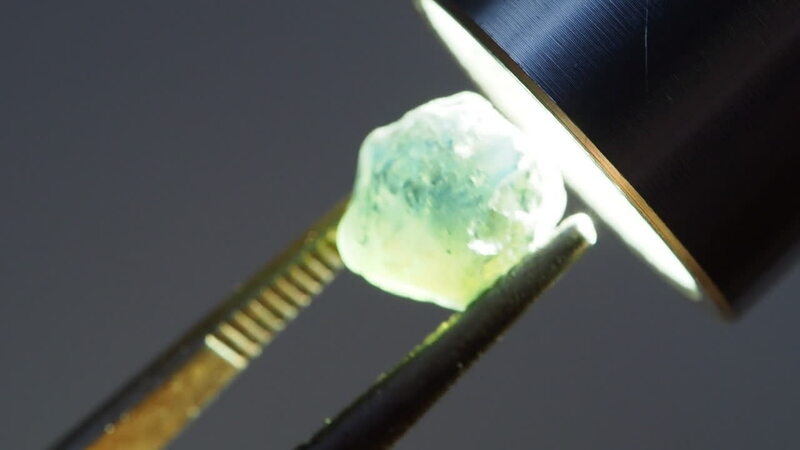 This durable material is the second hardest natural substance and is found in a broad range of colours. 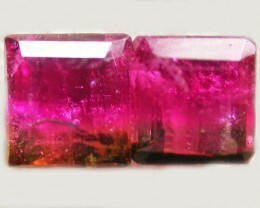 Ruby is red or pink corundum, all other colours are called sapphire. 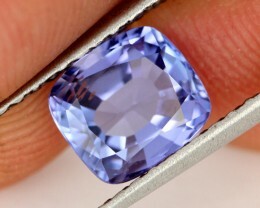 Blue is the traditional colour but sapphire can also be clear, green, yellow, gold, purple, peach, colour change or a mix of colours (sometimes called parti, rainbow or bi-colored).